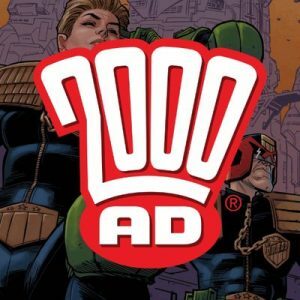 2000AD – 2081 to 2089. Comic Book Review. In the ongoing efforts to expand the flagship property of 2000AD, the majority of Dredd’s installments for this stint consisted of Paradigm Shift. This split-narrative ostensibly promotes Michael Carroll’s new Judges book series which charts the rise of the Justice Department. I could rant about the folly of prequelitis but the concept is not inherently problematic here. Rather the issue is pacing. This story saw an investigation of Dredd’s flash back to a case from the early days of the book series. Not a bad idea for a promotional story but looking over the whole thing, there clearly was not enough plot to sustain five instalments. Each half of the story doesn’t feel that interesting on its own merits and the gimmick might have carried a couple of issues, at best. I will sing the praises of seeing Dredd regularly deal with low-key incidents but you never see stories of such scale given the five-part extravaganza treatment for a reason. Thankfully this was followed by an immensely enjoyable palette-cleanser in the Elevator Pitch double bill. This saw space chimps assaulting a space elevator of plutocrats. You had better believe that was full of awful simian and Marxist puns. Brilliant. Oh, Survival Geeks, you never come around often enough. Created by Gordon Rennie, Emma Beeby, and artist Neil Googe, this comedic adventure follows four friends and their pet Cthulhu, Howard, as they hop between worlds skewering and deconstructing SFF genres and properties. The tone and humour are embellished wonderfully by Googe’s playful art style but I think the comic fundamentally works because it understands the subject matter it speaks to. Compare to something like Big Bang Theory. That show pays lip service to geek culture but holds it in contempt, explains its allusions because its general audience don’t have a frame-of-reference, and ultimately uses this to conceal an aggressively clichéd sitcom formula. In Survival Geeks, there’s a density of knowledge rooted in fandom, the assumed reader can appreciate deeper observations and jokes, and the surface-level appeal is not used to plaster over a weak plot. 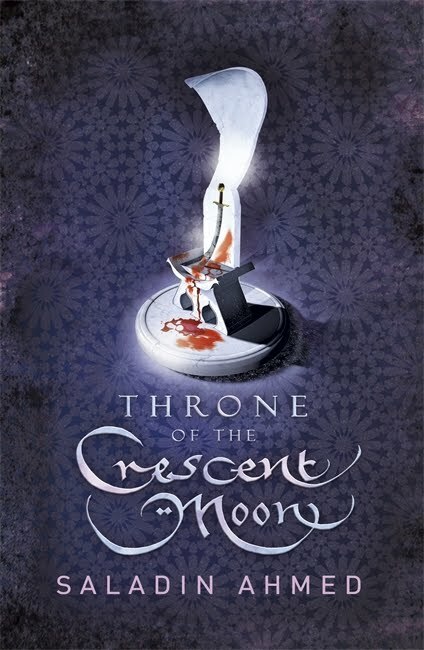 The story in its episodic and larger unfolding forms is funny and engaging. This latest outing features a particularly strong smorgasbord of gags as the gang land at an interdimensional comic con, so the creators mine that for all it’s worth. 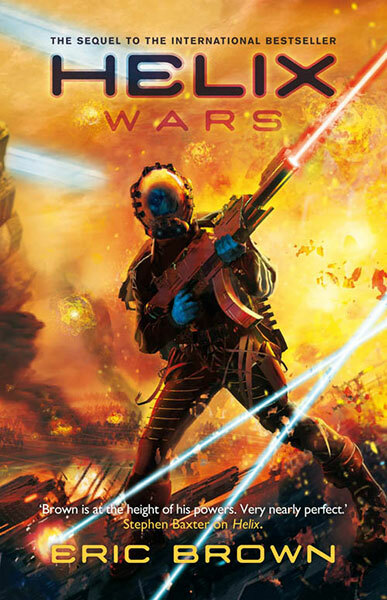 The Fall of Deadworld remains one of the heavy-hitters of 2000AD’s current roster. The story is bold, big, well-written and has some of the strongest visuals out there under the hand of Dave Kendall. The last volume, Damned – following on from Tainted and Cursed – sees Jess gathering her allies for an assault upon the hellish base of the Dark Judges and a chance to rescue Fairfax. If that last sentence meant nothing to you, this does signal the one big issue with Deadworld and Kek-W’s runs in general (review of The Order to follow next time): they come with a lot backstory. The Fall of Deadworld concerns the last days of resistance in the alternative dimension and home of a group of iconic (and somewhat maligned) classic Dredd villains. Even starting on the first volume, as someone with a patchy knowledge of older Dredd stories, I had to look stuff up to get my bearings. And this is the third volume following some sizeable prior runs. 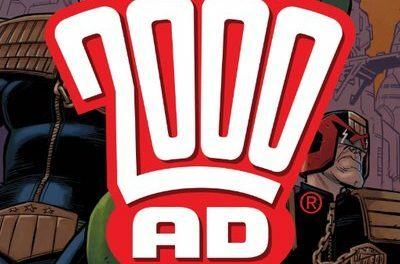 There is a barrier for entry to new readers which is rare for 2000AD. That being said, if there is any series I recommend you look up previous runs of, it would be this one. Deadworld might have an archetypal overarching story – Chosen One child destined to face evil overlord – but it’s got such a deliciously slow burn that the smaller scale details take the focus and, distinctly, we go in knowing this cannot end well. The art direction is immaculate at conveying a world given over to mortification and putrescence. For a series that some saw as an effort to recapture the horror of frequently misused Dredd adversaries (if you ever found them scary), the baddies are more intriguing than they are terrifying. The regime of the Dark Judges is more defined by the infighting of its operatives than anything else. If you stripped away the fact it is a fascist government corrupted by otherworldly necrotic mutation, you’re still left with a really bitchy office environment. Oh, and it’s a flag-waver for 2000AD’s inclusivity agenda since by this point the overwhelming majority of the main characters are women, and the series would sooner kneecap you than apologise for it. At time of writing the current volume has not wrapped and I cannot wait to see where it ends up. You have to take the good with the bad. Though I got to review two of my favourite series this time around, this debut for a new property saw me deeply disappointed. Skip Tracer follows a man-hunter on a dystopian space city in the far-flung future. That summary there is the most generic set-up for any 2000AD property you could come up with. From hard-chinned enforcers, mutant bounty-hunters, to haemovore mercenaries (more on that one next), this comic already has a glut of hard-edged investigative law-bringers. I saw nothing in all eight installments of Skip Tracer that made it stand out from the pack. Plus, with an inevitable late-stage twist that was incredibly clumsily foreshadowed, we can add cack-handed to its list of sins, just below ‘bland’. After the non-entity of Skip Tracer and some subpar Dredd, Durham Red picks up the slack for gritty sci-fi noir man-hunts. The blood-sucking mutant bounty hunter is getting some exposure after only intermittent serials in the last few years. It’s a strong return that simply succeeds because the story unfolds in a logical manner to a satisfying conclusion. Our protagonist gets by on guile and skill rather than contrivance (Skip Tracer…), and the story of a mercenary hired to find and reunite a lost mother with her (crime boss) son provides an opportunity for some reflections on the nature of Durham’s job. If this precipitates a more established return for the character, I will be happy to see more adventures of this calibre.